Zakynthos town. Detached house of 175sqm on Zakynthos is for sale. This house is a 2 - level house with living room, kitchen, 4 bedrooms, 3 bathrooms, 1 WC and storage. 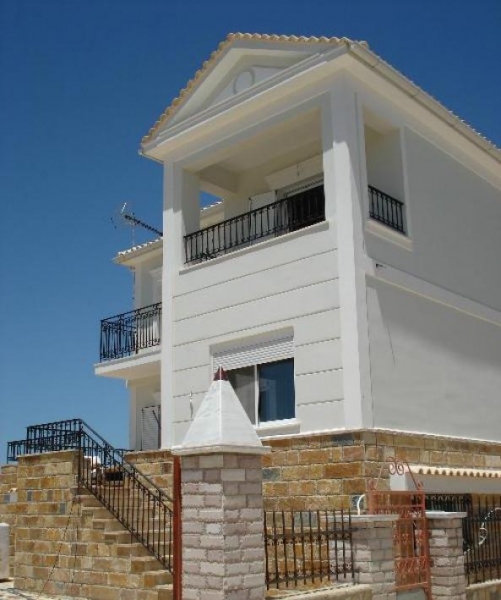 The house is airy, bright south-west facing, overlooking the sea, 500 meters from the sea. Additional features: central heating, fireplace, playroom, garden, awnings, barbecue, double glazing, security door, alarm, fitted wardrobes, air-condition, satellite antenna, solar water heater, boiler, newly painted and has a sink (for sanitation). Land Area: 500sqm. Disclaimer: Property Reference: 903-103091 This listing is a property advertisement. myProperty-Greece.com makes no warranty as to the accuracy or completeness of the advertisement, or any associated or linked information. This property advertisement does not constitute property particulars.